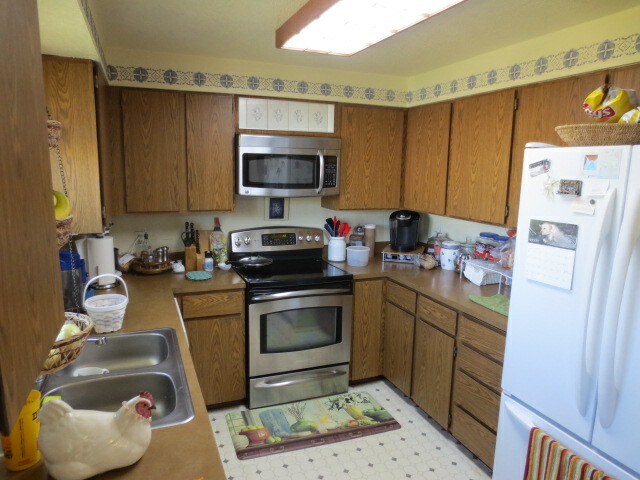 BEFORE: This kitchen was a classic builder-grade kitchen in a 70's - 80's vintage rambler. 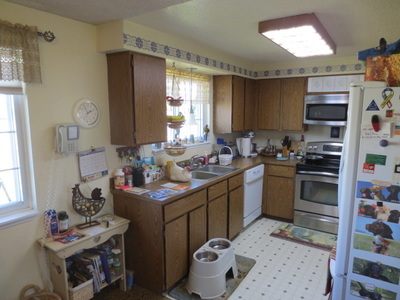 The kitchen and dining room were combined into one room. 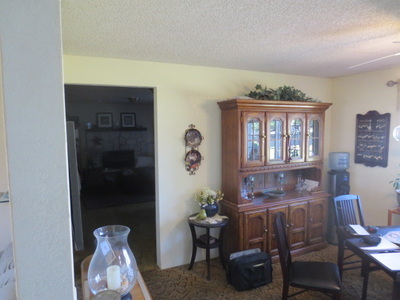 Eunice & Gary are retired, love their property, and have decided to stay put. 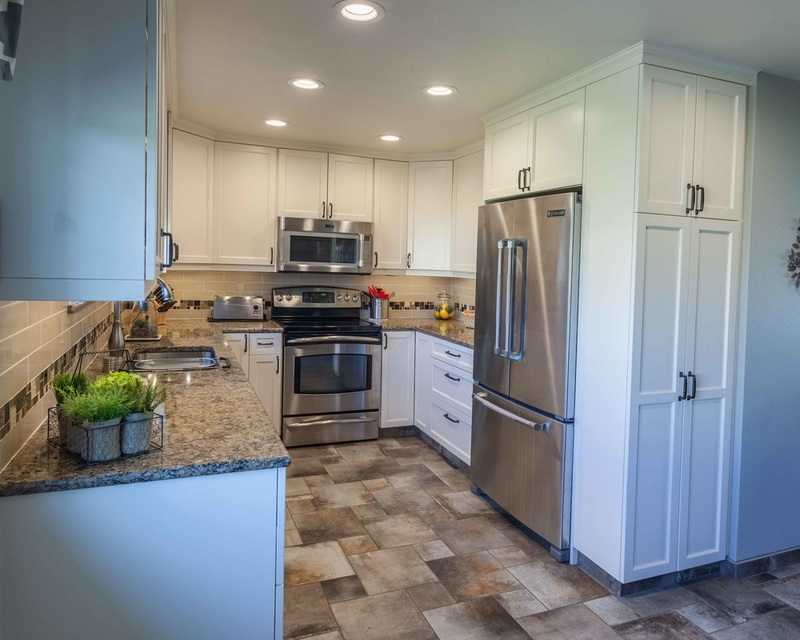 Once they decided to stay, upgrading the kitchen, baths, and floors was the obvious move to make sure they are happy and comfortable staying put. Though not a large kitchen, it functioned well for them. It was just worn out and dated. 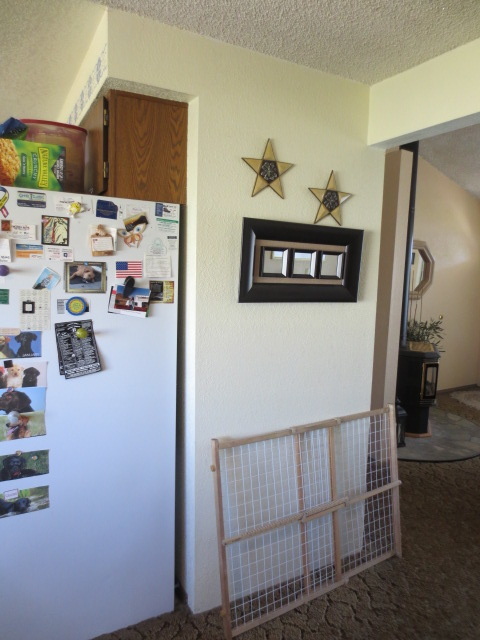 AFTER: Not needing additional kitchen space, we worked within the existing foot print. We removed the soffits, extended the cabinets to the ceiling, partially concealed the refrigerator, and added some style. 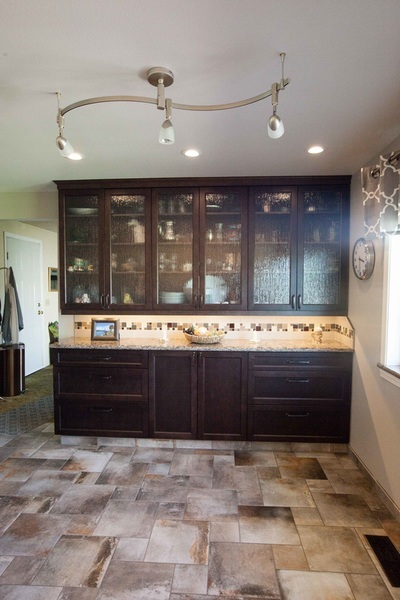 The Versailles patterned porcelain floor tile added a great color punch along with a huge dose of practicality. 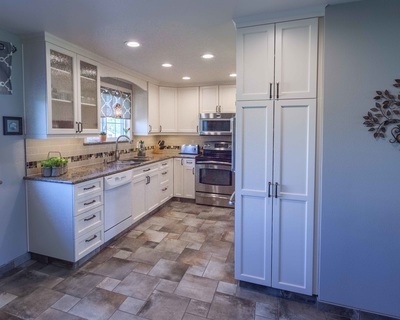 Quartz countertops and a coordinating tile backsplash complete the picture. Light & bright while still being warm & inviting. 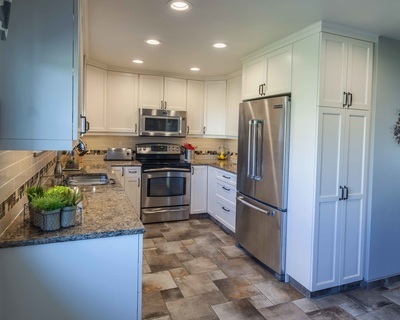 A cabinet-depth refrigerator really helped to keep the relatively small kitchen feeling as large as possible. Accessing the pantry cabinet from the wide side, rather than the narrow face makes for a user-friendly pantry, without the expense of roll-outs. The white cabinets serve as a "canvas" for the rich porcelain tile floor and backsplash. The glass doors reduce the visual weight of the large upper cabinet. 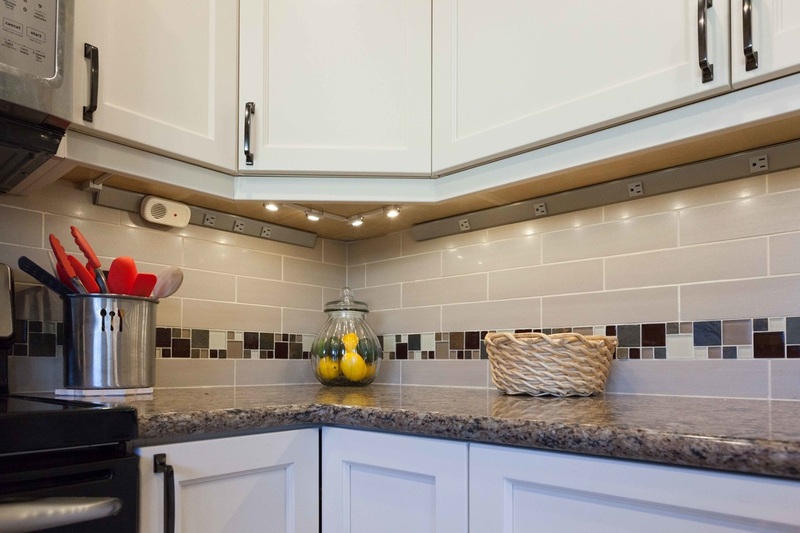 Angled plug strips provide plenty of outlets without cluttering the backsplash. The glass & slate mosaic accent tile ties all of the kitchen colors together and pulls many of the more subtle colors in the quartz countertop. The furniture hutch was replaced with a larger, dark, rich, built-in hutch that will accommodate all of the nice things collected over the years.